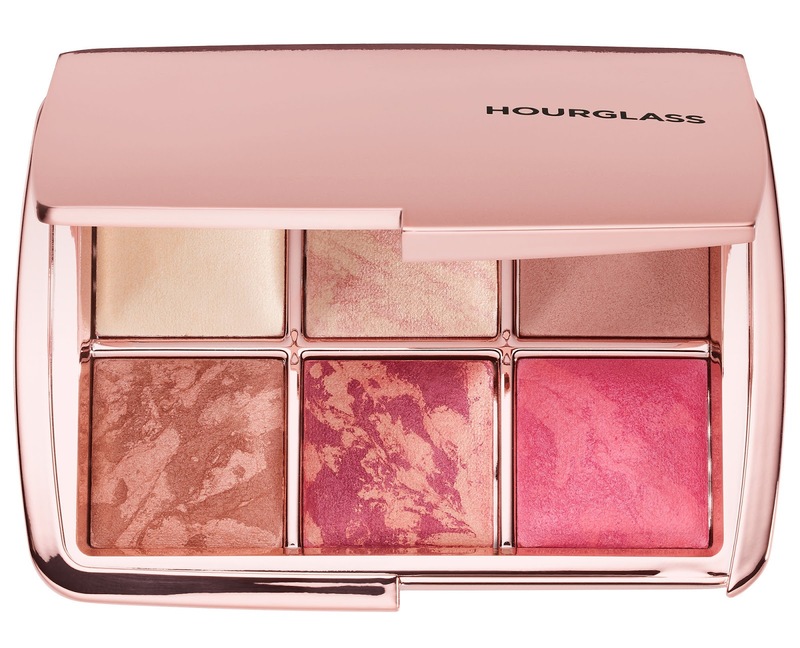 Hourglass has now launched their Holiday collection for the 2017! I will continue to update this post, as well as other holiday collections, throughout the season if new sets become available. 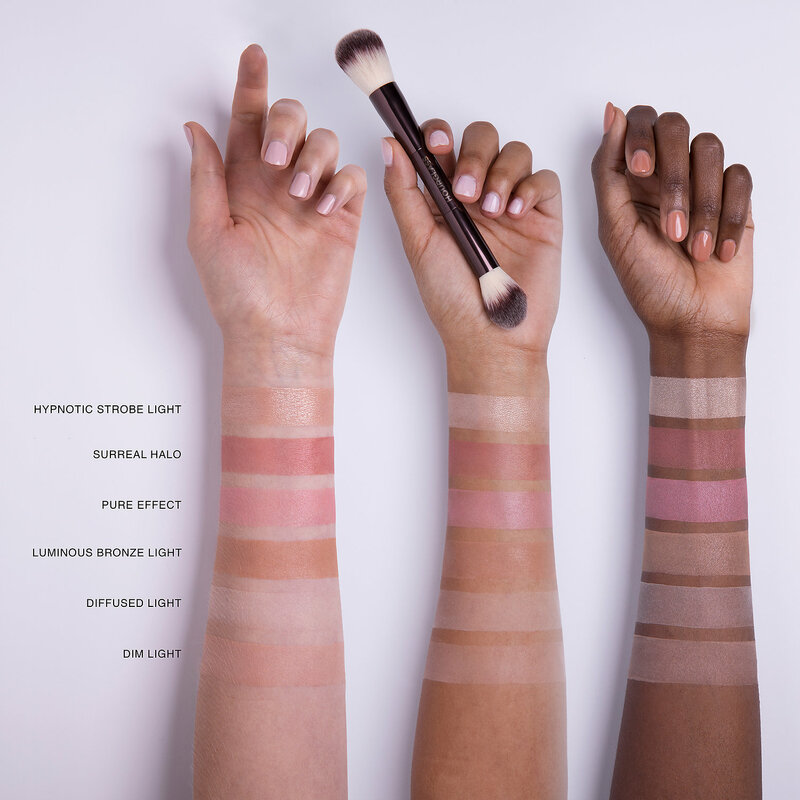 "From a fresh, youthful look for day to a sophisticated, vibrant look for night, Ambient® Lighting Edit has everything you need to finish, brighten, contour, and highlight your skin. 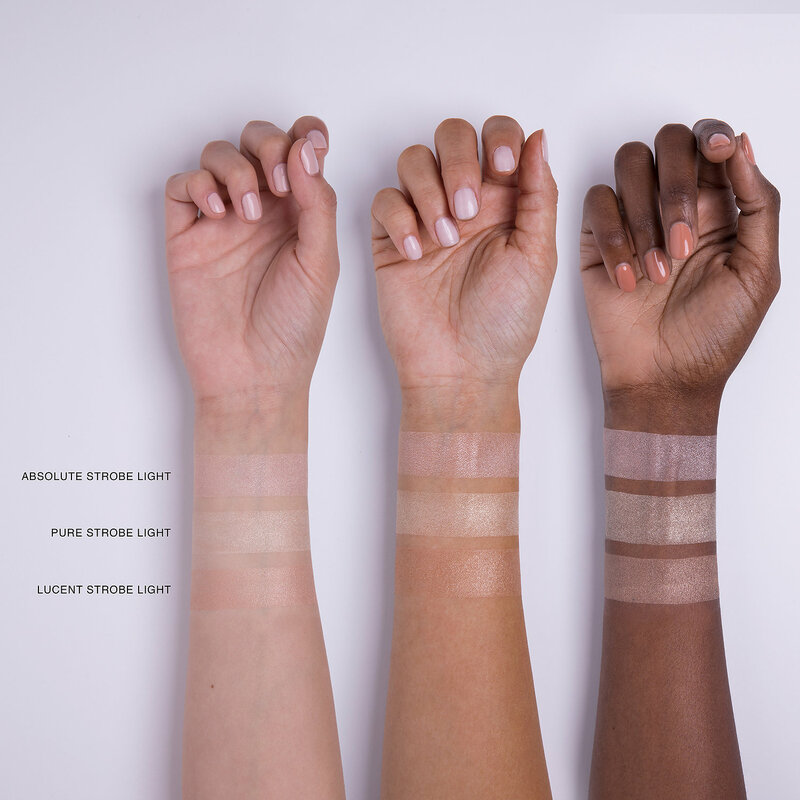 The formulas are created with photoluminescent technology to capture, diffuse, and soften surrounding light for skin that appears softer, younger, and lit from within. Designed to be used with the double-ended Ambient® Lighting Edit Brush, this comes in a limited-edition rose gold compact for the holiday season. Dim Light is a neutral peach beige powder that blurs imperfections and highlights the complexion, while Diffused Light is a soft, warm, pale yellow powder that conceals redness and gives skin clarity. Surreal Halo is a deep berry blush fused with surreal light for a vibrant flush of color, and Pure Effect is a bright petal pink fused with a glimmering rose for a youthful glow. Luminous Bronze Light delivers a medium tan shade fused with luminous light for a softer, candlelit warmth. 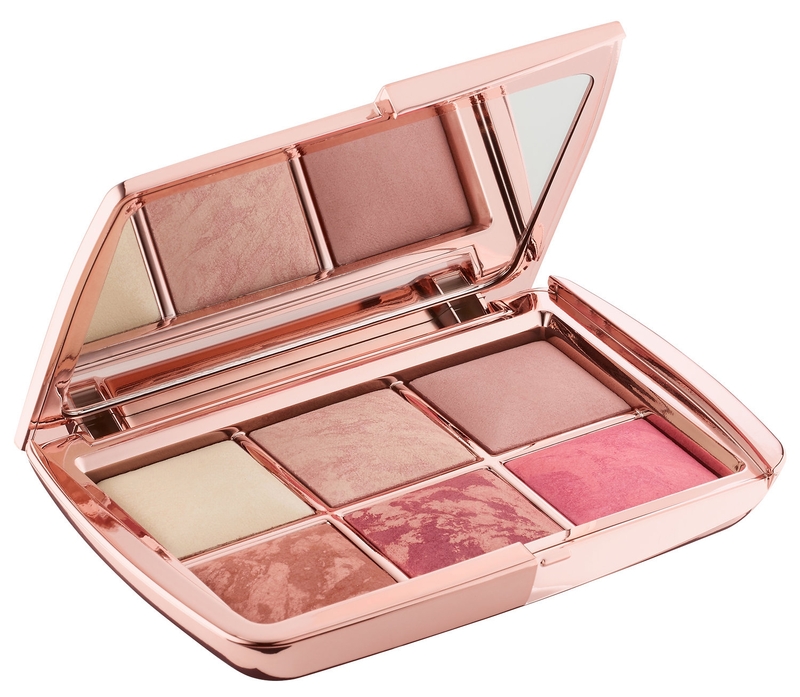 And Hypnotic Strobe Light is a champagne powder infused with multidimensional pearl for a sublime highlight." "Each shade is formulated with intensely concentrated, multifaceted pearl particles in varying sizes and refraction levels to give the most reflective glow to the high points of the face. The velvety texture ensures a smooth application as it glides across skin to reveal your most intense, amplified highlight, while the concentrated formula utilizes photoluminescent technology to intensify the way light reflects on the skin. 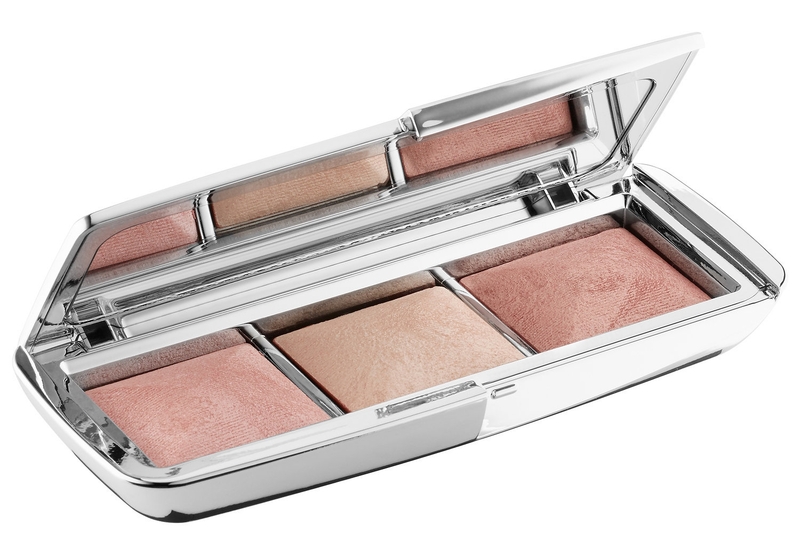 Absolute strobe light is a soft pink metallic pearl powder for a captivating highlight. Pure strobe light is a pale gold metallic pearl powder for an exquisite highlight. 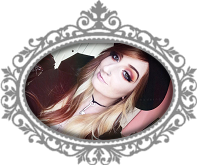 Lucent strobe light is a rose gold metallic pearl powder for a magnetic highlight." "These lipsticks deliver creamy, saturated, long-wearing color with a satin finish—sans smudging or feathering. 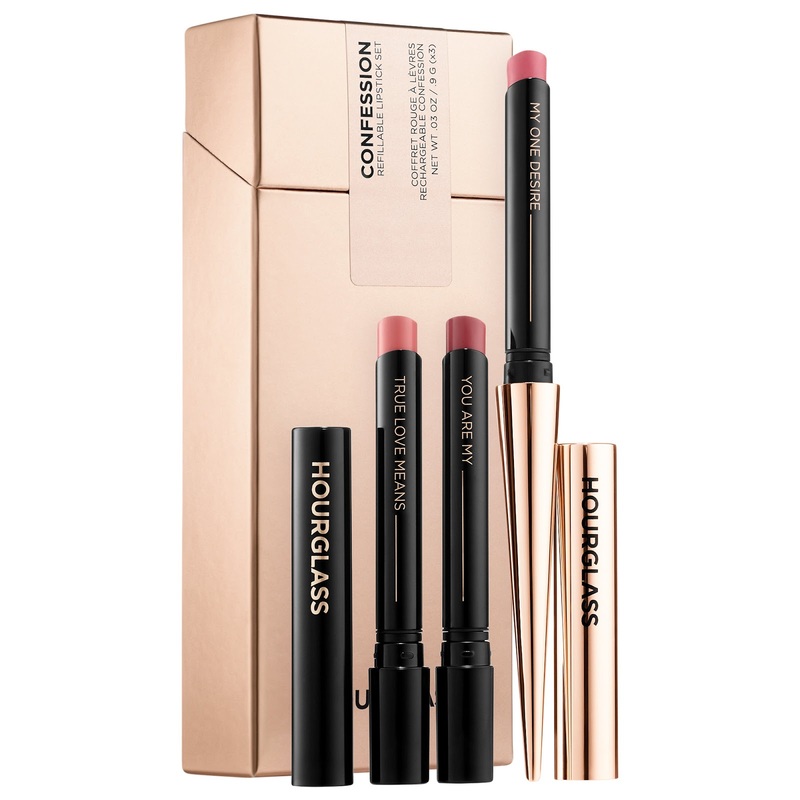 This set comes with one shade of Confession Ultra Slim Lipstick encapsulated in a sleek gold applicator for the ultimate control to precisely accentuate, contour, and define the lips. The sleek gold applicator can be used interchangeably with the two additional new exclusive refill shades provided, as well as all Confession Ultra Slim Lipstick Refills (additional refills sold separately). $78 USD Value." "This limited-edition set of primer and foundation will give you the ultimate flawless complexion with lasting, undetectable full coverage. Veil MIneral Primer creates the perfect base by concealing redness, minimizing the appearance of pores and fine lines and wrinkles, and providing broad spectrum SPF 15 for a perfect complexion that lasts. 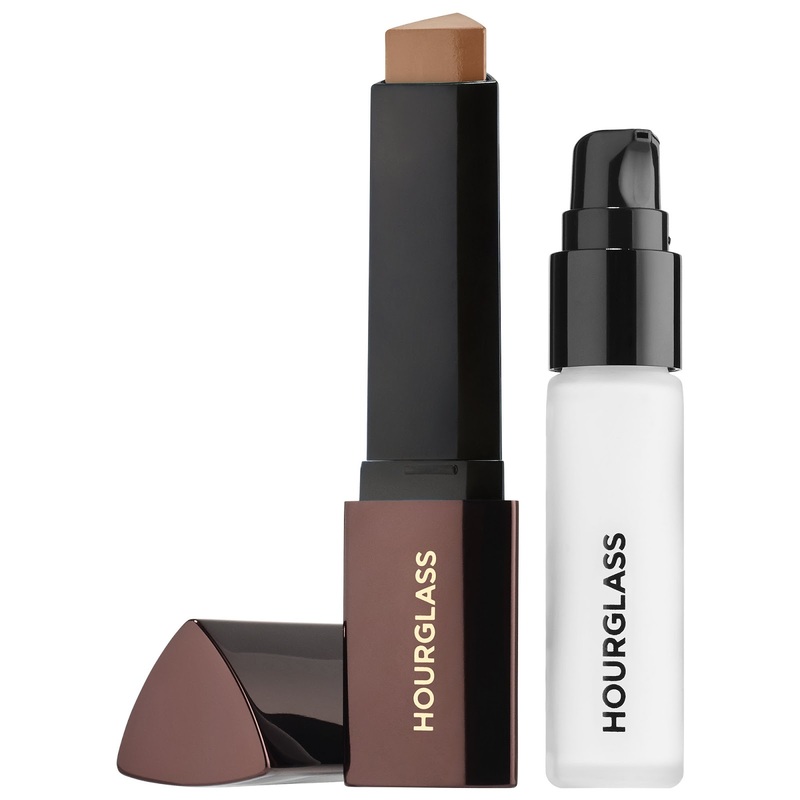 This unique primer has an airy, silky, cloud-like texture and layers onto skin without added weight or a greasy after-feel. It’s ideal for all skin types, even sensitive, blemish-prone skin, and it repels water so makeup looks freshly applied all day long. Vanish Seamless Finish Foundation Stick is a foundation and concealer in one. Its concentrated formula is infused with double the amount of pigment of traditional foundations for instant, full coverage in one application. The long-wearing, waterproof formula provides 12-hour coverage, and adjusts to your body temperature to blend into the skin effortlessly. $65 USD Value."